We’re pleased to welcome Liz Gipson of Yarnworker.com to our blog for a special guest post! Liz is a weaver, instructor and author - you may recognize her from Weaving Made Easy and Slots and Holes, or perhaps you've spotted her name on the pages of Handwoven Magazine or over at Knitty.com. 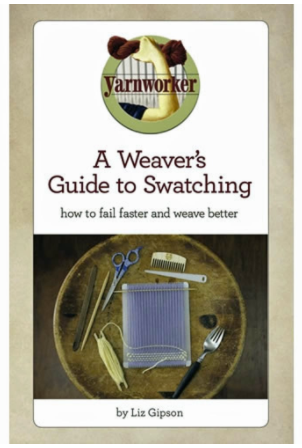 Today, Liz shares some of the weaving inspiration behind her newest book, A Weaver's Guide to Swatching. The thing about writing a book is you don't have time to fail slowly, you need to fail fast. With less than a year to get together a couple dozen projects and write the accompanying manuscript for my forthcoming book, Handwoven Home, I needed a way to test yarns, colors, setts, and finishes faster than even my rigid heddle could provide. For years, I hunted for a small frame loom in the setts that I, as a rigid-heddle weaver, use—primarily 8, 10, and12. Occasionally, an 8 would pop up and then disappear again depending on the trends. A single size 8 did me some good, but I couldn't compare the same-sized swatch in one sett vs. another. 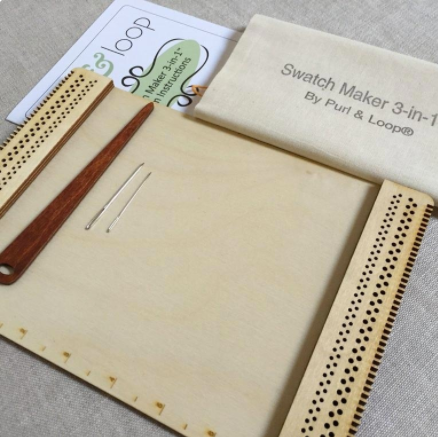 Then I met Angela Smith of Purl & Loop. She was making the cutest little frame looms and I asked her if she could make me a set in closer setts. We talked about the wider issues, threw ideas back and forth, and the Swatch Maker Looms were born! So while I was writing the big book, I wrote a little book about the methods I use to get to a final finished project. That little book, A Weaver's Guide to Swatching, shows you how to use a small frame loom to road test your bigger ideas.I talk about selecting sett; a bit about yarn for weaving; the tools you will need; the mechanics of how to set up, weave, and finish a swatch with lots of tips and tricks; and how to track results for future projects. It's a tried and true method used by designers of all stripes. Start small. Dream big. Fail often. Do it again. 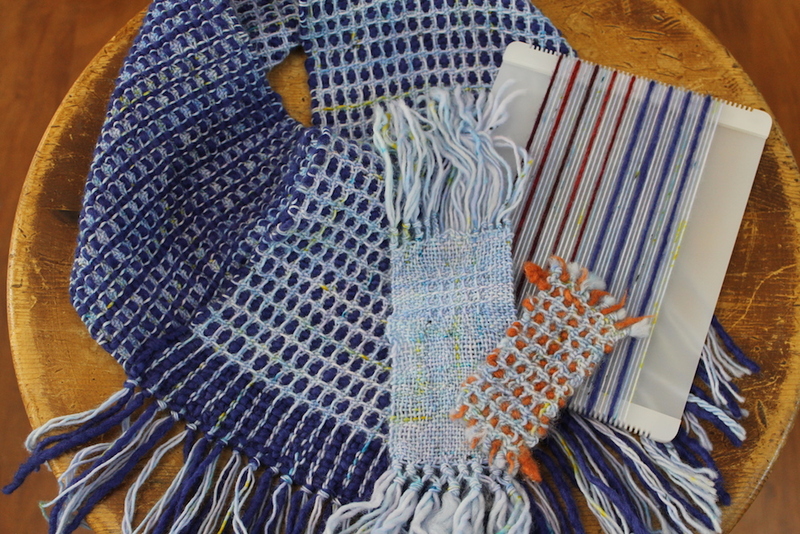 As summer approaches, swatching is the perfect way to take your weaving with you. I get my best ideas while I'm traveling and I no longer feel I'll “lose” that idea; I can grab my loom and swatch it out. It's a joy to be on this journey and share it with my fellow weavers. You can find me online at yarnworker.com or on Instagram, Facebook, and YouTube. Weave happy. Weave often. Just weave!